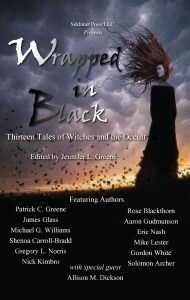 This entry was posted in Friends Doing Awesome Things and tagged Gordon White, Horror, Occult, Sekhmet Press, Witches, Wrapped in Black. Bookmark the permalink. Thank you for the re-post! I get so excited when I know someone else has read this story. It truly is one of my FAVORITES OF ALL TIME. I can’t wait to release it on the world! !